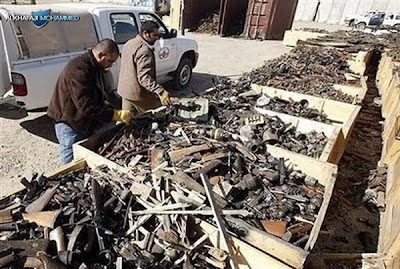 العجيب في الامر أن الحكومة العراقية تتلف هذه الاسلحة بتكسيرها وتحطيمها وطمرها لتصدئ بدل الاستفادة منها في تسليح الجيش و الشرطة مع العلم أن العراق يعود بعد تحطيم هذه الاسلحة الى شراء غيرها من بعض الدول !!! 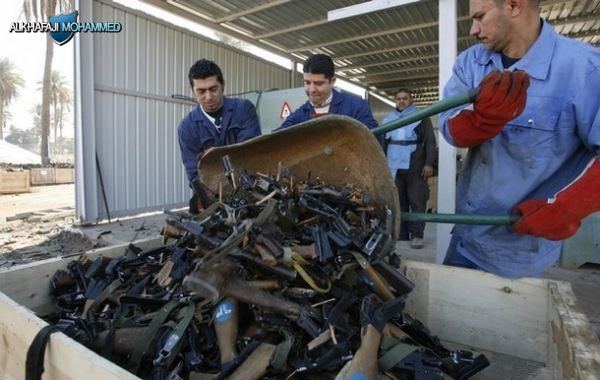 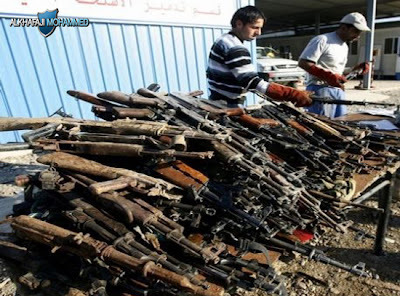 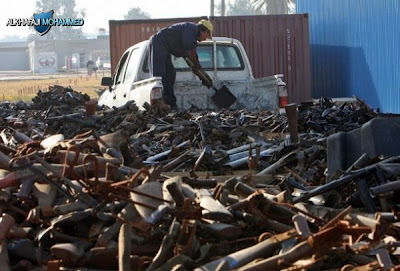 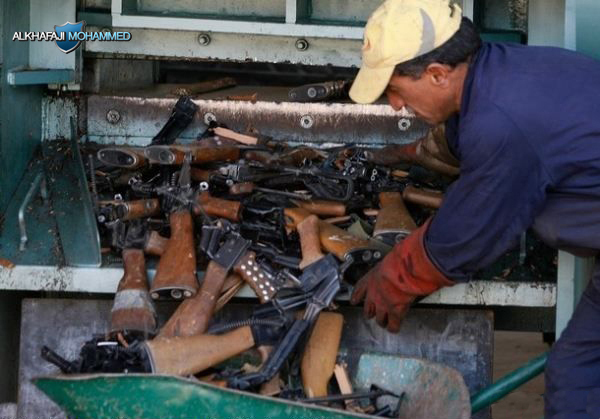 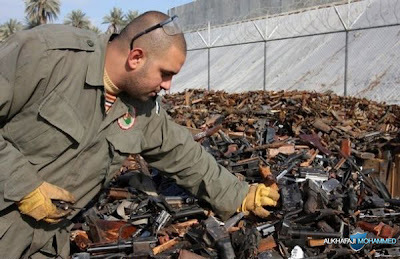 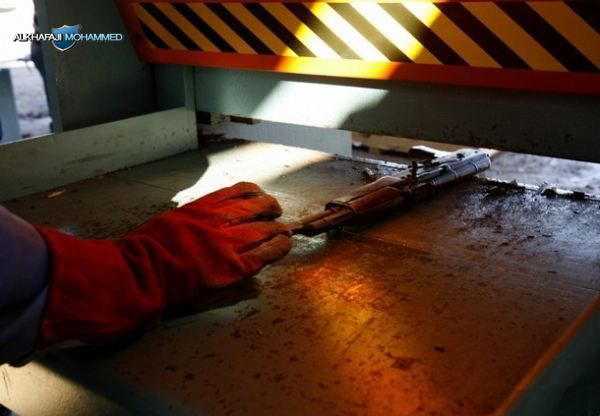 Strangely, the Iraqi government destroyed these weapons, broken and destroyed and landfilled to rusty instead of used in arming the army and police with the knowledge that Iraq is back after a destroy of these weapons to buy a new weapons from some other states !!! Is it not this a waste of public money or to enter into new contracts for the purchase of weapons by the commission and the benefits of some of the officials ?